„Integrated Industry“– this is the lead theme for Hannover Messe 2013. Following this motto, EMKA Beschlagteile, one of the world's leading manufacturers of locking systems for enclosures, presents more than 30 new products in Hall 5, stand 8, for the sectors industry, electronics and transport. In addition to this, the traditional company, which has strategically repositioned itself at the beginning of 2013, provides detailed information at four theme islands on the range of products and services for the individual business areas. 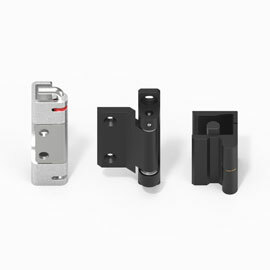 „Our locking systems are used in numerous industrial areas and applications. In the course of restructuring our business areas, it has been important to us to maintain the product diversity with more than 15.000 components and at the same time to optimize the structure in our extensive product line“, commented the owner and Managing Director of EMKA, Friedhelm Runge, the strategic changes in his company. By means of the four new business areas Industry, Electronics, Transport and Production, EMKA will provide more transparency in the future. The Hannover Messe 2013, too, underlines how broad the spectrum of the manufacturer is. Each business area is presenting its latest products on a total of 300m² of exhibition space. 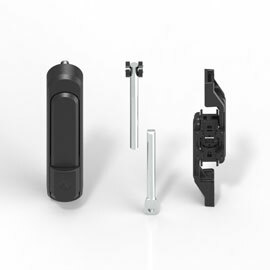 In the industrial sector EMKA presents the new swing handle „Protector“. The name says it all, because the handle is tamper proof in metal design as well as dust and water resistant. The handle is also available as single or double cylinder version and, in addition, in an economy-priced plastic version. All versions are suitable for the standard door cutouts of different cabinet manufacturers. In the area of Transport, EMKA is presenting even two new products. 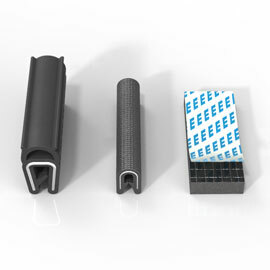 The product range comprises modular designed locks for commercial vehicles with high functional reliability and improved ergonomics as well as a unique product range for rail vehicles (including gaskets), being the first to meet all the requirements of the future European Standard EN 45545 and thus setting new standards. Data center operators will listen attentively with regard to an innovation in the field of Electronics: EMKA combines its own locking systems, sensors and software with the measurement and control technology of a Swiss partner. This combined know-how leads to an intelligent temperature control of each individual server cabinet, reducing the energy consumption up to 30 %. In the business area Production, EMKA focuses its contract manufacture based on drawings according to customers’ request. 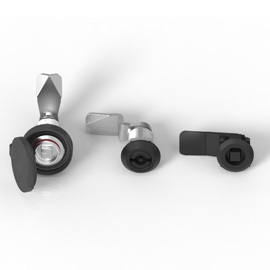 Thanks to a unique vertical integration, including toolmaking, the manufacturer is able to provide customized solutions with stainless steel, steel, aluminium, zinc, plastics or rubber.